Staying at a Bed and Breakfast is all about authenticity and that’s just what you’ll find in Louisville. From country estates to historic townhouses, Louisville is home to a collection of splendid Bed and Breakfasts. Visitors seeking a more unique lodging experience will enjoy the personal touch you can find only at a Bed and Breakfast. What’s more, guests are treated to the fine Louisville cuisine and friendly Kentucky hospitality that characterizes our community. Whether you’re looking for a more relaxed setting in Kentucky horse country or the Victorian elegance of Old Louisville, your home away from home is sure to be found in the selection of fine Bed and Breakfasts listed below. 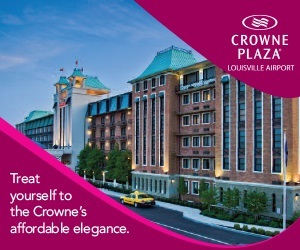 You may also wish to consider some of the more unique Louisville Hotels as well as Louisville Suites and Rental Houses for an original Louisville experience. Offering overnight stays in a beautifully restored Victorian mansion in historic Old Louisville. Louisville's most historic and opulent mansion invites you to relive the classic days of the Kentucky Derby in tycoon style.